Oh yes, they’re work shoes. (We promise!) Bring your favorite style hiking sandal comfort to work with you when you wear KEEN Utility shoes. 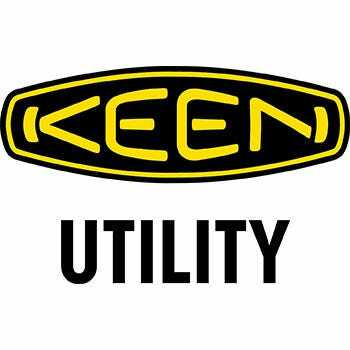 KEEN Utility has plenty of reputation for comfort in long-wearing recreational shoes, so why not take that same comfort te ... (see full details) (see specifications) #1014604. Oh yes, they’re work shoes. (We promise!) Bring your favorite style hiking sandal comfort to work with you when you wear KEEN Utility shoes. KEEN Utility has plenty of reputation for comfort in long-wearing recreational shoes, so why not take that same comfort technology and beef it up a bit to add some industrial strength and safety so you can enjoy your favorite hiking shoes while you're at work, too? These KEEN Utility Atlanta Cool ESD General Toe Men’s 1014604 Brown Hikers look and feel like your favorite low-cut hikers, but are made for the industrial environment. These electro static dissipating (ESD) KEEN Utility shoes meet ASTM F2892-11 SD standards for job site safety in certain environments. The oil- and slip-resistant rubber outsoles are tough enough for the job site, factory floor, and so much more. Durable leather and mesh, electro static dissipating technology, and outsoles with enough grit to survive your day make for the lightest and most comfortable pair of men's work shoes you’ve ever tried. These water-resistant Nubuck leather and mesh uppers area as durable as they are unique. The secure fit lace capture lacing systems never need to be tied, and you never need to worry about them coming untied. With the ultimate air flow around your feet, you stay cool under pressure and can walk for miles in these made for men's general toe hiking shoes. Finger pulls on the tongues and heels make getting your feet in and out of these slip on Atlanta Cool shoes quick and easy. The patented KEEN Utility protective toe guards extend the life of these light duty slip-resistant shoes by protecting this high wear area (not to mention the added toe-stub protection). Reflective webbing enhances your visibility in low light conditions for a little added safety along the way. These ESD general toe brown shoes are lined with breathable mesh liners for year-round comfort. These fully enclosed water-resistant shoes have excellent air transfer for breathability and comfort in the heat or cold. Removable metatomical footbeds are designed to fit the contours of your feet with the most support and comfort you could possibly need in your day. Concentrating support at your arches and heels, these high stress areas have the added support they need to get through the day with less stress and more stamina. The contoured heel lock technology ensures a sure step each time with the help of the flexible Torsional Stability Shanks (TSS). The dual density compression molded EVA midsoles reduce the shock of impact felt by your feet as you walk to ensure the lightest weight shock absorption for plenty of stamina for your feet. These electro static dissipating (ESD) KEEN Utility shoes meet ASTM F2892-11 SD standards for job site safety in certain environments. The oil- and slip-resistant rubber outsoles are tough enough for the job site, factory floor, and so much more. So when you want lightweight, durable men's footwear that will get you through your day, look no further than these KEEN Utility Atlanta Cool ESD General Toe Men’s 1014604 Brown Water-Resistant Hikers from Working Person's Store. KEEN Utility Boots: ESD General Toe Men's 1014604 Brown Atlanta Cool Hikers is being added to your cart.